Description: Great location in summertree in madison right off of 463. Culd-de-sac location great yard and wonderful home with southern style front porch with wood planks and a swing. Private back deck overlooks this great fenced yard. Oversized garage with a large storage room. 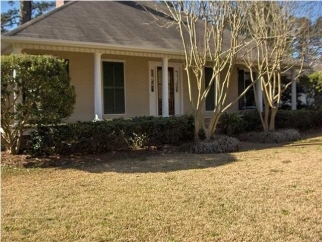 The inside features: three nice size bedrooms two baths a great room and a formal dining room. The kitchen has gas cook top and wall oven,plenty of wood cabinets and breakfast area. Wood and tile floors. A sunroom with plenty of windows overlook the private backyard. Drive by and call your realtor today.